Everest Group’s PEAK Matrix is a framework that provides objective analysis of service providers based on their absolute market impact and vision and capabilities. The reports assess and classify service providers as Leaders, Major Contenders and Aspirants. View the press release. 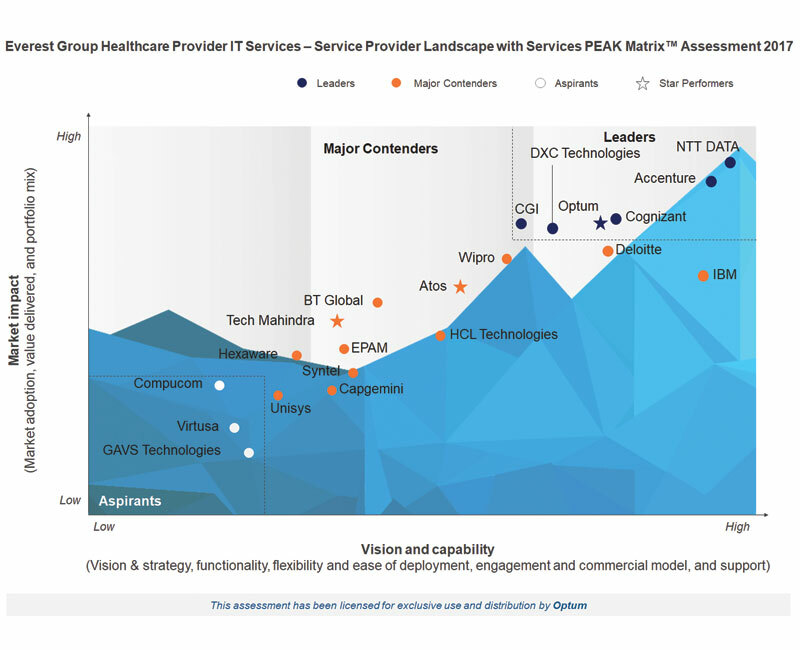 For the second consecutive year, Optum was recognized as a Leader for its Healthcare Provider IT Services experience and capabilities. We were also named a Star Performer due to the strengthening of our position in 2017; the only company among the 21 assessed to receive both distinctions. 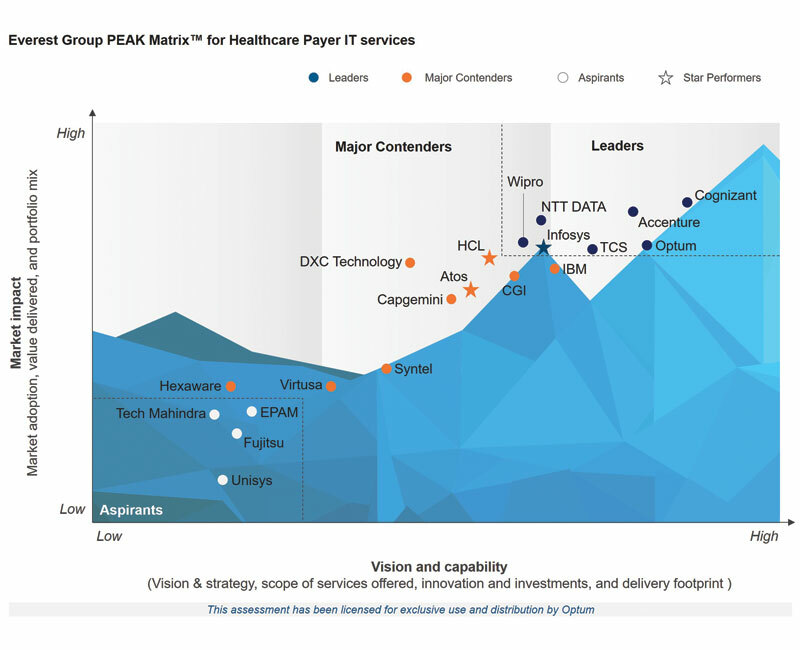 Optum has been named a Leader in the Healthcare Payer IT Services category for the second year in a row. 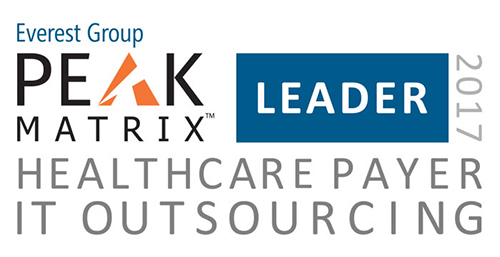 Everest Group cited our valuable UHG pedigree and strong product base, distinct edge in the healthcare domain, and the traction we are making in as-a-service models with leading payer clients as strengths. 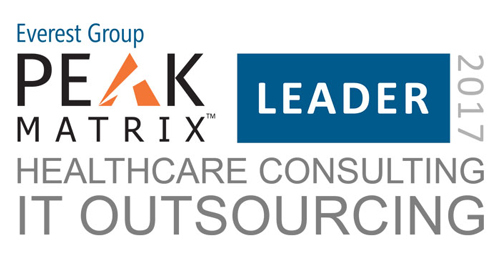 In analyzing 20 service providers, Everest Group also named Optum as a Leader in Healthcare Consulting. 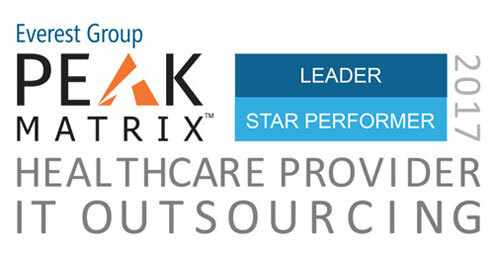 The report recognizes Optum’s diverse capabilities spanning the entire consulting value chain that caters to payers, care providers, and PBMs across the globe.